Last day with the Danhausen group wrapped up today. Things got off to a quick start as the steelhead continued to be eager just as the day before. However by mid-morning the hunt for player fish was on. Unfortunately things stay pretty flat much of the remainder of the day. The early bird definitely got the worm today. 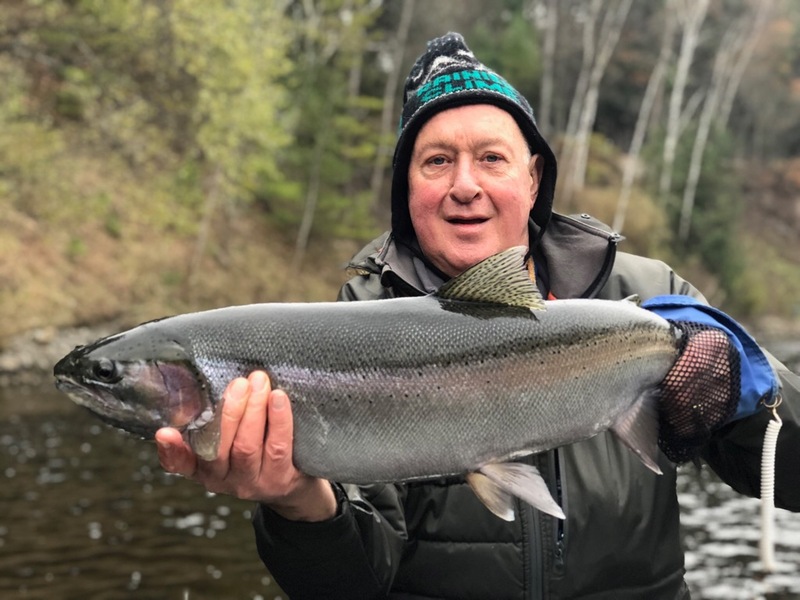 Pictured is Ken with a very nice hen steelhead that took his swung fly this morning with RQ guide Dave.